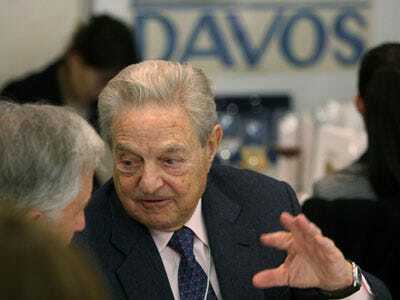 , George Soros sounds of on Fannie Mae (FNM) and Freddie Mac (FRE) and how he would like to see the two institutions reformed. The philosophical essence is fairly standard: End the system of privatized gains and public losses. Getting rid of the quasi-private structure is something everyone can agree on. What he wants to keep is the mortgage insurance aspect of the business, so, basically keep the parts of Fannie and Freddie that are like the FHA. What he wants them to get out of is mortgage financing. Here’s the part that may get a lot of reformers in the US psyched: A key benefit of the POB system is that it offers performing homeowners the opportunity to buy back their loans when interest rates rise. If the price of the associated mortgage bond drops, the homeowner can buy the equivalent face value of bonds at a discount, to redeem the existing home loan. This is a kind-of solution that’s been talked about here: let homeowners buy back their mortgage at or slightly above where the bank has marked it, potentially saving the homeowner money, while getting the mortgage of the bank’s books. It’s not happening for various reasons, but obviously our system of pooling and packaging mortgages would seem to make it a lot tougher.